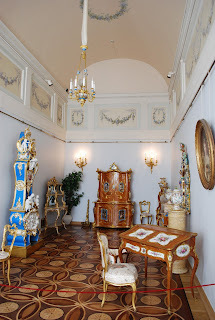 The architect Alexander Krasovsky retained original elements from the 1840s when he redesigned the Boudoir (183) on the 2nd floor of the Winter Palace for Empress Alexandra in 1895. 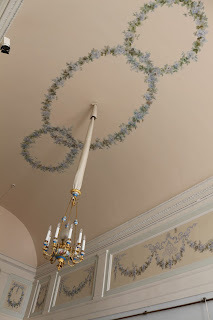 The ceiling and upper wall panels were decorated with wreaths and floral garlands. 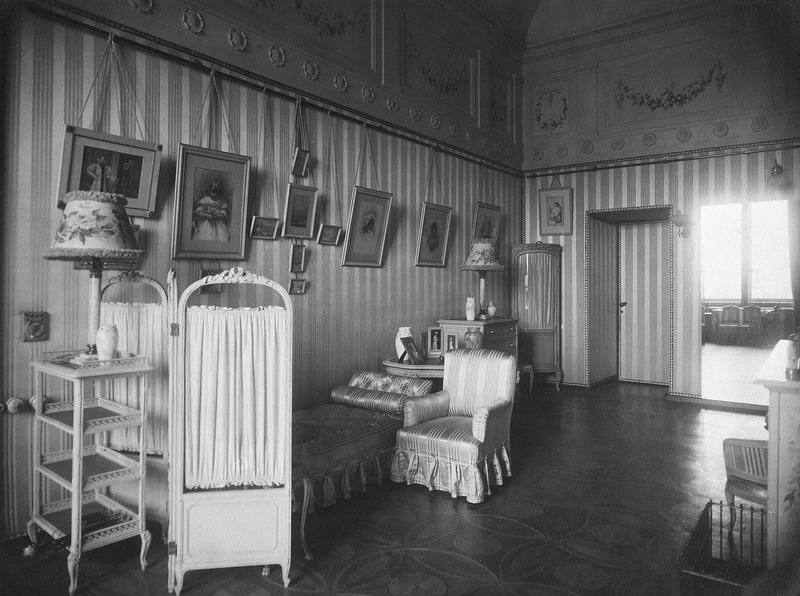 A 3D panorama [link below] of the Boudoir with the window facing the Admiralty and the door to the bathroom removed c1930s. Can you find the empress’ monogram АФ [Russian initials] among the floral garlands? I like that Alexander Krasovsky retained original elements from Empress Alexandra Fyodorovna Dressing Room for Empress Alexandra's Boudoir, its just a pity that the Hermitage didn't retain all the details of the Boudoir. 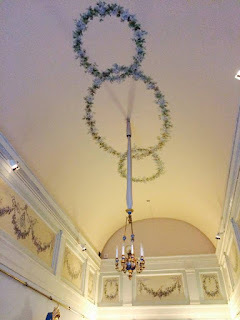 Thanks Ghostie. 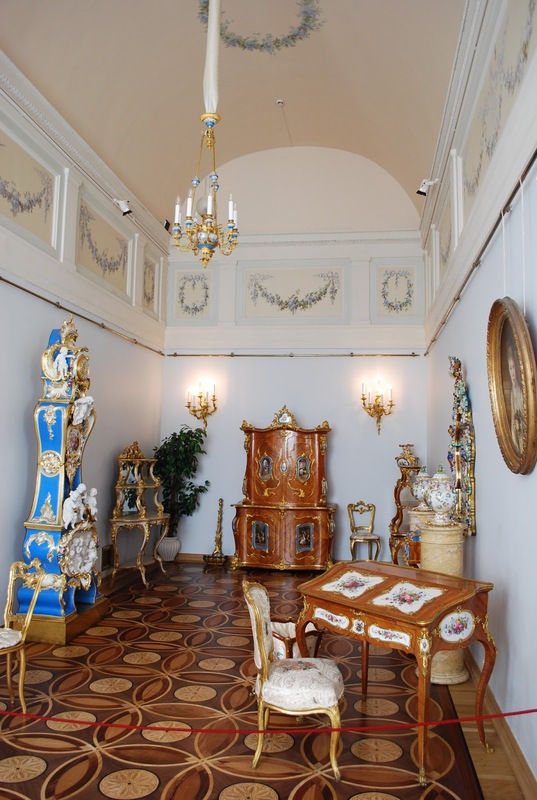 Many rooms have retained original elements, restored beautifully by the Hermitage, that visitors are unaware of. Click on the third photograph - the right panel has the initials. Yay! Found them, thanks Joanna!